Irene Horstmann Hannan, who officially took up her duties as chief executive officer of Faith in the Future Foundation on July 1, brings with her a host of qualifications. For one thing, most recently she has managed a $6 billion loan portfolio in the health care and nonprofit segment of the Mid-Atlantic and Midwest regions of Citizens Bank. Managing Faith in the Future, an independent nonprofit established in 2012 to oversee the 17 high schools and four schools of special education of the Archdiocese of Philadelphia, should be a new challenge for Horstmann Hannan, but her past history should serve her well. “Irene’s strong business background, combined with her knowledge and passion for Catholic education, make her an ideal chief executive for Faith in the Future,” said H. Edward Hanway, the foundation’s board chairman. Her own background is firmly rooted in the Philadelphia area with life experiences that make her especially suitable for the task ahead. First of all, the Horstmann family has deep roots in the area, perhaps most famously through Ignatius Horstmann (1840-1908) who served in many capacities as a Philadelphia priest and ultimately as Bishop of Cleveland. She is a graduate of Mater Misericordiae (now Merion Mercy) Academy and Trinity College in Washington, D.C., as a political science major, with further studies at Temple University and Babson College. As a long-time trustee at Trinity College (now University) she has been an active participant in that college’s transition from a somewhat genteel Catholic women’s college to an institution that, while still mostly a women’s college, actively serves the needs of the neighborhood where it is located. They are the young people referred to in the federal Dream Act that provides for children brought to the United States by their undocumented parents. The now mostly young adults seek opportunity and citizenship although they lack documentation, through no fault of their own. Horstmann Hannan is also active with the Girl Scouts of America, having served on the national board, and is still active as a board member with the scouts in the Philadelphia area. The mother of four grown children, Irene, Hilary, Richard and Alec, she entered the business world relatively later than most people. “I was a late vocation,” she quipped. In the banking field she held a number of different positions. 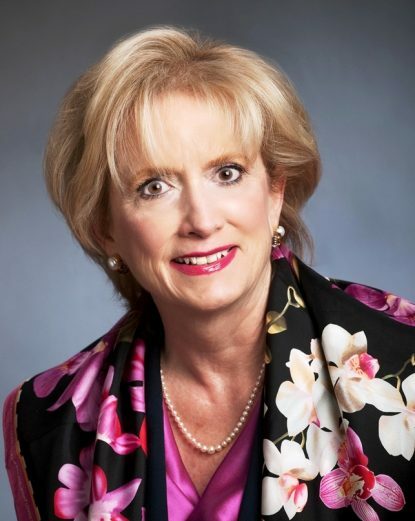 “I was a commercial lender, the director of Women’s Business Services for Wachovia Bank. It was a service to women business owners who were generally excluded from the mainstream of banking because of their gender,” she said. From that area she moved on to running health care programs of not-for-profit businesses, which gave her invaluable experience with 401-3c organizations, and ultimately as senior vice president at Citizens Bank. Coming into Faith in the Future, she said, “allows me to really pull many different aspects of many professional experiences as well as my personal commitment together and have an impact. I think the perspective of having worked in banking so long with nonprofits gives me insight into what makes nonprofits successful and what makes a nonprofit sustainable. “Because I oversaw so much business with nonprofits it has given me a real leg up. I think I can bring that to Faith in the Future and I can also talk to business people because I was one. “I want people in our region to invest in our students. I am not asking them to make a donation because what we do with our students in school is train them for the workforce and these businesses need a trained workforce. At this time she is working on a full-blown plan of action. “That might involve more internships, mentoring opportunities, shadowing and possibly integrating into the curriculum elements that employers see as valuable,” she said.